CHINA’S ATROCIOUS CLAIM ON INDIA’S ARUNACHAL PRADESH, AFTER TIBET - Integration Through Media ....! When Indian Prime Minister Narendra Modi visited India’s frontier state Arunachal Pradesh to inaugurate some projects on 9th February,2019, China objected to his visit, stating that it “firmly” opposed the trip. The spokesman of the Chinese foreign ministry said that China does not recognize Arunachal Pradesh as part of India and India has to respect China’s interest and concerns . This is an atrocious claim of China, as state of Arunachal Pradesh is an integral and inalienable part of India ever since India’s independence. Arunachal Pradesh has a democratically elected government and anybody from any part of India can go to Arunachal Pradesh freely, just as any resident of Arunachal Pradesh can go to any part of India to work , live or travel freely. Such objection of China clearly indicates China’s greedy expansionist policy and it seems to think that any neighbouring country belong to it ! China has been targeting to dominate and control neighbouring countries by launching economic or military aggression. There is no doubt in anybody’s mind now that China thinks that it can say and do anything and get away with it. Obviously, the time has come to control and discipline China and make it realize that it’s expansionist policy will not go unchallenged. In 1950s , China forcibly entered Tibet claiming that Tibet belongs to it. In the process, it’s military massacred innocent Tibetans , arrested and tortured the protesting Tibetans and drove several of them out of China as refugees, who had to seek safety elsewhere. Respected the Dalai Lama had to flee China to protect Tibet’s long term interests. Unfortunately and shamefully, the world conscience largely remained silent without condemning China’s aggression in Tibet and China gleefully considered such silence as the approval for it’s misdeeds in Tibet. Tibet continues to suffer and with the Tibetans in Tibet and around the world not knowing when and how Tibet would get the freedom back and get it’s position back as an independent country. In the last several years, China has effectively brought Pakistan under it’s control by exploiting the unstable governments in Pakistan and extending huge loan and grant and taking over several vital mines , port and other installations,. Pakistan has gifted part of it’s occupied territory in Kashmir to China, accepting China’s claim that the territory belong to it. Now, Pakistan is so much under the control of China that many suspect that Pakistan has already become an extended province of China. The only effective opposition to China in Pakistan may come from the muslim clergy and extremist Islamic group , who know that China would seek to suppress them sooner or later. However, since Chinese government is known to go to any extent to suppress dissention , one wonder whether even the muslim clergy can rid Pakistan from China’s control. China has deceptively and cleverly got total control of the Hambantota port in debt ridden Sri Lanka and there is no way that Sri Lanka can get rid of China’s control in the foreseeable future. In 1962, China launched a bloody military war against India in Ladakh region which it decisively won and it continues to occupy the “conquered territory “ in Ladakh region and China has no intention to give up control of this region. The recent Doklam conflict with India initiated by China is an yet another instance of China’s expansionist policy. It is now very clear that China’s claim of India’s province Arunachal Pradesh is part of it’s long term strategy of occupying the neighbouring countries, with least regard for fairness or decorum in dealing with neighbours. Unlike in the case of Tibet, when China sent it’s military to occupy Tibetan territory, it cannot do so in similar manner in the case of Arunachal Pradesh in India. Obviously, China is waiting for an appropriate opportunity to do so and will continue to adopt an aggressive posture with regard to the Indian border state. When China forcibly occupied Tibet , the then Indian government did not protest and left China in it’s way. India certainly let down Tibet in it’s hour of crisis. India continues to take a stand that Tibet is part of China. Though India has accommodated the Tibetan refugees in India, it continues to apply restrictions on Tibetans in India subtly to prevent them from launching Tibet liberation movement effectively. By adopting a weak foreign policy towards China to keep China in good humour in the case of Tibet, India is now paying a big price, as it’s own territory Arunachal Pradesh is being claimed by China now. Certainly, it is now the time that India has to question China about it’s continued occupation of Tibet and persecution of Tibetans. 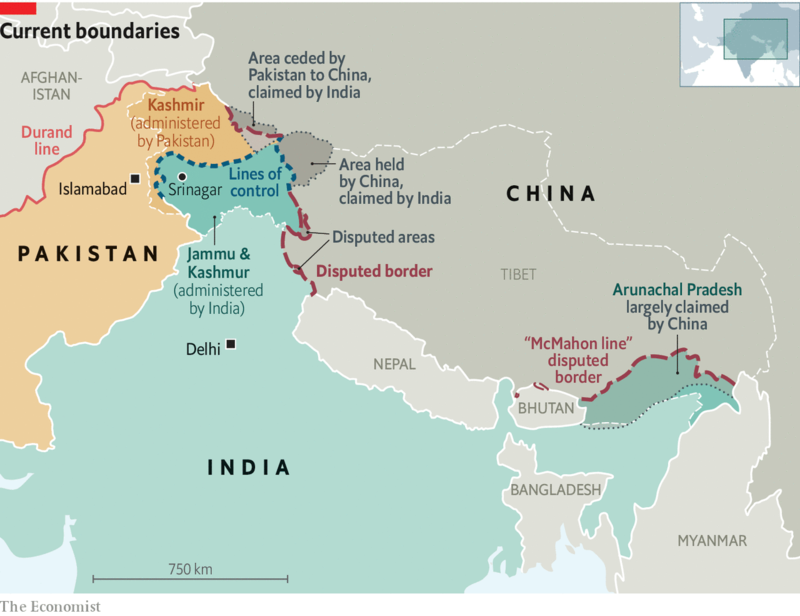 To defend itself against China’s expansionist policy, India has to necessarily adopt an aggressive pproach in dealing with China, so that China would realize that India cannot be taken for granted. India’s continued efforts to keep China in good humour has become counter productive and is against the interests of India. Given the world circumstances today and the ongoing trade war between US and China and US and several Western countries too realizing that China need to be controlled, raising the cause of Tibet in every world forum should be the appropriate strategy for India, to drive sense in Chinese government.